Just weeks before we welcomed our new baby girl into our family, we launched our other baby–a sofa line with Interior Define! It’s been amazing these past couple weeks to see the Charly (yes, we named the big, cozy sofa after our big, cuddly dog) pop up in your homes as sectionals or sleepers or sofa, in an array of colors and configurations–the entire line comes in nearly 70 different fabric options, we chose Rain, a beautiful slate blue, for our home. Although we have barely had a second to celebrate, we knew we wanted to do something big for YOU and we couldn’t think of a better way to do so than by giving one away! Our readers have been our biggest motivators and inspiration throughout the entire design process and now we want to give you the chance to have it in your home. There’s an easy entry at the bottom of the post! The Charly line is available in family and pet friendly fabrics. It’s cozy as can be. 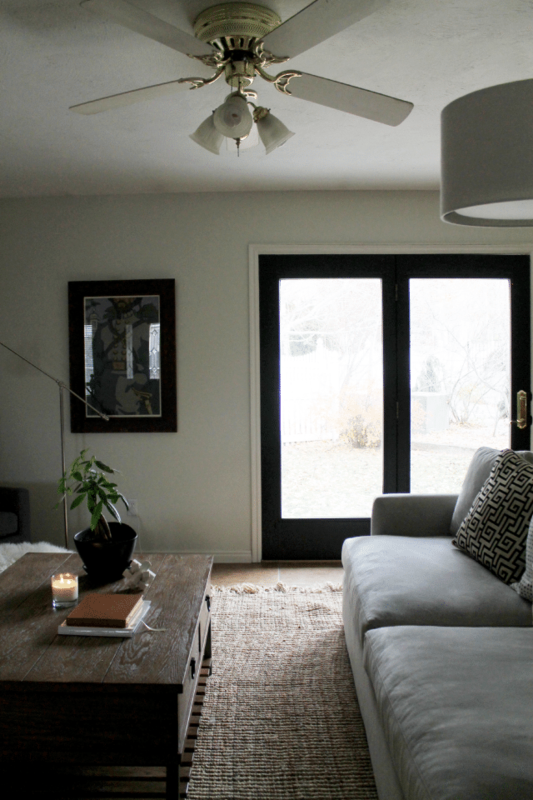 It’s deep and lounge-y, and can work with just about every style of home. We’re really proud of it and, honestly, have never loved a sofa more (and if you’re a long time reader, you know we’ve been through more than our fair share of bad sofas!). 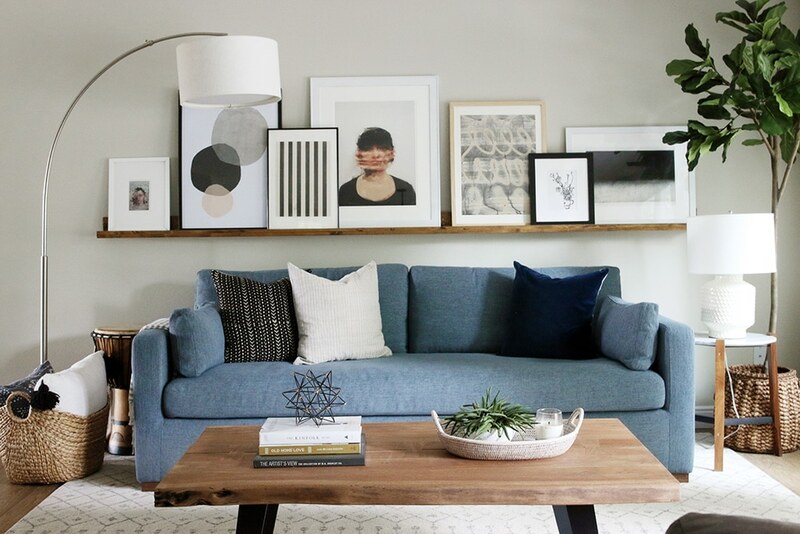 We recently re-styled our living room with a more neutral color palette so the pretty blue really pops. 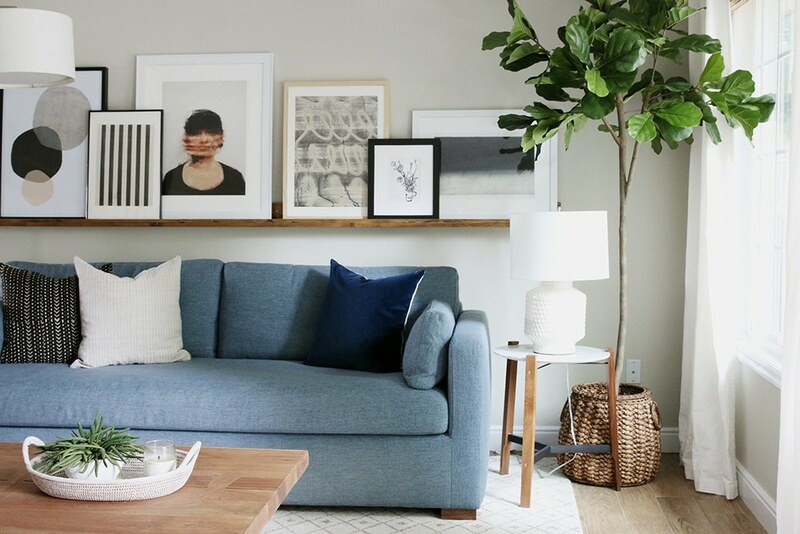 I swapped out artwork (I love the peachy hues with black, tan and white), painted frames, moved lamps around and the whole thing feels like a fresh take on our home–we’re in love! You can enter to win a Charly sofa from Interior Define in any fabric and color you wish (dying to hear which you’d choose–feel free to sound off in the comments!) every day through Monday, October 2nd, through the Rafflecopter widget below! Entrants must be 18 years or older in the continental US to enter. Take Luck! We’ll announce the winner right here on October 3rd! Hi!!! Was the winner announced? I’m dying here!!! We updated the rafflecopter widget with the winner and emailed them but they haven’t responded! We usually give them 24 hours before choosing another one. Hi Julia!! I replied to the email — THANK YOU SO MUCH!!!!! Oh gosh me too. I love this sofa! L-O-V-E the fresh restyling of your living room. We’re looking forward to hearing the winner of the Charly sofa today! Love the lines on this piece. Bravo! The bench cushion on Charly is perfection. This is so smart – fewer crevices for the remote and popcorn and you can pile the family on without anyone having to sit on the crack. We LOVE this sofa! I would just be excited about a sofa with one seat cushion….guess who always get stuck sitting on the crack? Just wanted to let you know that this blue sofa would be a Godsend!! I have redone my living room with blue and the sofa covers I am using on the couch keep bunching up. What I really would like is a blue couch like this one. Thank you for the opportunity! Enjoy your week!! What an amazing giveaway! Thank you for the opportunity! I would probably choose between “plow” or “earth” with the oiled walnut legs! LOVE them all! I would take any of them, the clean lines of the sofa make for the perfect piece of furniture for the living room! After your Modsy post, I looked into it…they think something in the “plow” color would suit our home best! Thank you for continuing to inspire us all! Great piece! So many good neutrals…I feel like it would take me days to pick. I would love the Charcoal color with black legs! Love them all, but that Quartz velvet is perfection!! Rain, Wheat or Ore but they’re all soo good! I would love the slate blue velvet on your Charly sofa, so pretty and comfy looking too. The color “Natural” is my favorite! I love the style! It looks so comfy and welcoming! Nice work! I love the shape of this sofa! The concept of one cushion for the seat is BRILLIANT!! I want this in my living room!! Charly is SO CUTE! Love it in Natural!! Beautiful sofa! I think I would want the slate color that you guys have in the same fabric choice. I figure if I can handle your 2 kids and a dog, then it can handle my two kids minus a dog. emerald velvet would look so luxurious in our freshly painted slatey gray living room. Yes please to family friendly fabrics! Would probably go with Ecru or Plow for the fabric. The Linen Pebble Weave, Ivory Heavy Cloth or Oxford Blue Mod Velvet would all suit our space perfectly! My husband and I love the timeless shape of Charly; gorgeous colour selection (as other readers mentioned, it’s so hard to narrow it down) and the bench cushion (SO good!!). Congrats again on the collaboration with Interior Define! Hard to choose! But probably Ash! Dying over an ivory or maybe a swan color! We are in desperate need of a new couch! It’s on our list but way down the line in order of things to purchase next! What a great giveaway! I would love to replace my old couch with this beautiful Charly Sofa! I love the idea of having a pet-friendly fabric that could survive our German Shepherd! Mushroom or Seed would look perfect in my eclectic SF home! Ah! This is amazing! I would probably choose Mist or Onyx, but seriously how would I even decide?! Thank you guys for doing this! I love that you can buy one and decide on the fabric later! That’s so genius! Absolutely love your designs! I’ve been looking to order some swatches – so many beautiful choices! Love the sofa and love your home. Thanks for all the inspiration and for the chance to win this beauty! We are in need of another sofa so this would be amazing! We welcomed baby #3 a few weeks after you welcomed Polly and are putting an addition on our small 1920s house to make room for her. I love the norwhal in mod velvet! I just messaged you about this a few weeks ago <3 love this sofa!!! I just recently discovered your blog and Instagram page and now am a huge fan! Your sofa is beautiful and our family could always use extra seating. We have 5 kids and my elderly father lives with us too. Having 8 people in the house, we are excited to seat everybody! Narwhal for sure- such a bold deep color. Love the look and the depth for my leggy kiddos and 6’4″ hubby. Thank you for the chance! YESSSSS!! I wanted to order during the sale but was recovering from surgery and just couldn’t get it together. We desperately need a new sofa (5 teenage boys, me and my husband, and a sweet pup) and the charly with a chaise is the one I want. :) I’m not sure about color yet – I am planning to order a few swatches to see what is best. Love this giveaway – thank you guys so much for thinking of your fans! This is such an amazing giveaway!!!! I am in desperate need of a new sofa that can survive our 2 70 pound dogs, a toddler, and a new baby!! I’d probably go with a beautiful gray tone for our home! Love the color and it looks like the perfect size! I’m completely obsessed with the sofa and your entire home! I love the fabric on your Charly! When I win (power of positive thinking! ), I’ll be reaching out to you for guidance Julia on the color. I will probably order a ton of swatches just to get the color right. We have a family room/office/laundry room reno on the horizon this new sofa will go a long in making my family room look less dingy. I’m so excited about this contest. Basin or mist. Would pick up the accent colors in my home so well. 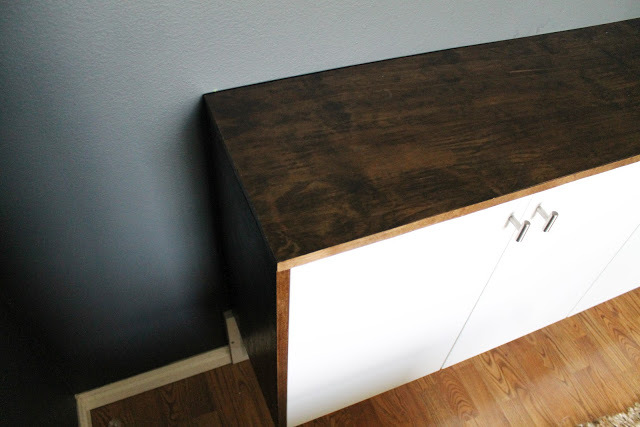 A fantastic replacement for the IKEA loveseat one sees when you first walk in our door! Onyx, swan, sapphire or decide later! I would like ash color grey. Also can you post more food picture and recipes lol. Eep!!! I’m so excited you are doing this!! I’ve been taking on side commissions, in addition to my full time job, to save up the cash to slowly redecorate our apartment here in Chicago! We have a big dog and two cats in our two bedroom apartment and hoping to start our family very soon! Your post of you sitting on your Charly couch with Polly while your wrote your blog post Made me want it even more than I did before! Thanks for your daily inspiration and the opportunity to create a lovely space just like you have so many times before! What an amazing giveaway! I think it’s between Basin or Sapphire for me. Thanks for the chance!! Oh man I am a sucker for those classic lines and that ash gray color! Beautiful and timeless…and I am majorly digging how deep that sucker is! My hubs and I are both 6 ft and taller and it’s tough finding something comfortable. Gorgeous couch guys! Would love to win a Charley! That Mod Velvet Sapphire on their insta page is divine! Such an amazing giveaway. This would be a dream come true. Thanks for the chance. I would really love to get a Charly sofa in Swan or Arctic just looking through the monitor… would probably order swatches first. Love the design; especially the bench cushion!! Thanks for creating this sofa and the opportunity to win one!! Dying for a velvet sofa!! I would love the wheat colored sofa! I’m really liking the color Ash, that grey color is everything. Good luck to everyone! I’ve been eyeing this sofa! You did an amazing job designing it! Love all the colors and fabrics. Almost think earth may be my favorite! What a GREAT giveaway! This is going to make one lucky person/family very happy :) We love that this couch is available in kid/pet-friendly fabrics. With a very active pup and a baby on the way, this couch (in Rain) would be oh-so-perfect. I love the color!! Congrats on the line! Need this sofa!! We have a Bernese mountain dog lay infront of it too! Um, Oxford blue velvet where have you been my whole life. This would be amazing! Come to us, sweet Sapphire Charly! Sofa is wonderful. It draws the eye and makes everything else look exciting. Just the pick me up my tired living room needs. i so love love this sofa. i can hope. I Love this sofa! I think I’m leaning towards the greige…but it’s a really tough decision! There truly isn’t an ugly color in all the options! So many to choose from, I like Ochre, Citrine but Emerald is my favorite! Ooooooooh the Charly in ID’s beautiful Earth or Natural or Wheat or MIDAS omg how would I choose! I’ve been dying for this couch ever since I first heard you talking design plans on the podcast. I want 1 (or 5 or 10) for myself! Probably have to go charcoal to hide the stains of my two year old, but then again our dog sheds in tan and white. Ahh! Decisions..!!! Love the Emerald!!! If I had to choose a more practical fabric I’d do Earth. All of the choices are great. Love this couch I would choose plow or ore.
Wow! This is so generous and the contest is SO easy to enter. Loved the way this rafflecopter entry was set up. Id go for gray! Your style is 😍 and this sofa 🛋 is 😍. LOVING all of the options available, too! There are so many colors to choose from! I am pretty tempted by emerald though! That static weave in sesame is my favorite 😍 Recently moved and left most of our furniture so I’ve been olsearching for a great couch! Love the sofa! Bench cushions are the best! I love how the blue works in your space. Absolutely love the Charly in Rain. Would look perfect in my new apartment! Looks like Heaven at the end of the work day! So here’s the deal. We sold another house, gave away almost everything we owned,moved into basement apartment and could use a pick me up sofa! Would love the Charly sofa in Ivory!!! ❤️ My fingers are crossed! My son’s favorite animals are Narwhals so we couldn’t pass up that fabric color! 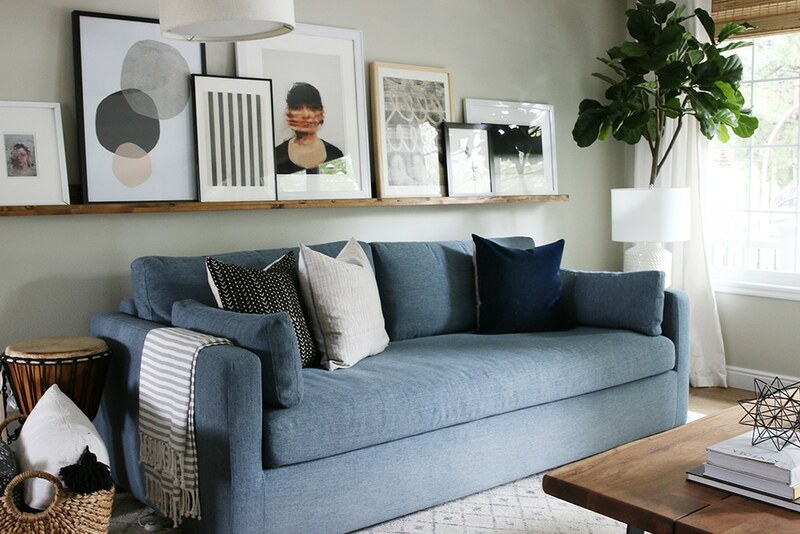 I love the Charly sofa and how you’ve styled the living room! I’d probably get the sofa in Dove or Linen pebble weave. Sweet dog Charly too! Since I am 61, I am worried my home is beginning to look very grandmaish. This beautiful modern yet traditional sofa is just what my home needs. I’m swooning over the sapphire and citrine mode velvet! We have something in a similar color to the citrine. It was my grandparent’s furniture. My mom remembers sitting on my couch when she was 15! I love it though – at this point I would only replace it with something similar. We definitely need some added comfort! This really is a perfect sofa! I think I need to order those swatches to decide on a color. Love the rain one. My 2 girls and cat have been rough on our current sofa. It would be so fun to win. Is it as comfy as it looks? Love the Charlie Sofa!! Have been eyeing it ever since you posted pics in your awesome home. I am using a lot of ideas from your space to redesign our mid century split level. We just finished up a office remodel and would love this couch in our space!! Just did a kitchen/family room reno and currently have no couch for the space and have had my eye on the Charly, so the timing would be perfect! Your blog is one of my all time favorites! And I love this sofa!! I would probably pick it in slate or rain. We currently have an old IKEA couch that has seen better days, and I have been researching new sofas, this would be a dream come true! I love the combined tastes of your products as well as the workmanship and huge selection of fabrics. This would be my dream win in either mustard or the beautiful Artic – which is my favorite. I’ll keep my fingers crossed. Good luck everybody. I think that it’s great! Pick me for the giveaway! My 9 and 5 year old boys have destroyed my sofa and yours is my dream! I love the Charly sofa! We would love to get it in Greige Mod Velvet for our family room. We also just had a baby around the same time as Polly so I love the idea of a sofa that is very kid (and dog) friendly! And thanks for all the baby sleep tips! She’s our first, so we are taking all the advice we can get. I would totally want Citrine, it looks so bold and luxurious, but in a few years with natural wear and tear it will look even better! Being a decorator I love to experience a good piece and then rave about It to my clients. This sofa would do the trick. And! You understand animals…..
I’d get it in slate! It would look really great with my new rug from Rejuvenation. So exciting!!! So many colors to choose from… I really love Rain & Plow! Keeping my fingers & toes crossed as we’ve done a total reno on our home but can’t afford to get a new couch just yet. You guys are so awesome – love seeing your posts and so envy of your style! This is awesome! I would for sure get the charcoal. What a generous and exciting gesture! The midnight blue caught my eye, that would look lovely in our living room. Lovely sofa built to last! Even though I’m an Interior Designer I too would love to win this sofa! No way!😍 Amazing!! I Love Wheat and Ecru! Ocean or ash! Fingers crossed! The rain is beautiful!! Love the Sesame color too! Wow such a great giveaway, thanks! WOW that is a lot of color options. I probably would choose swan! 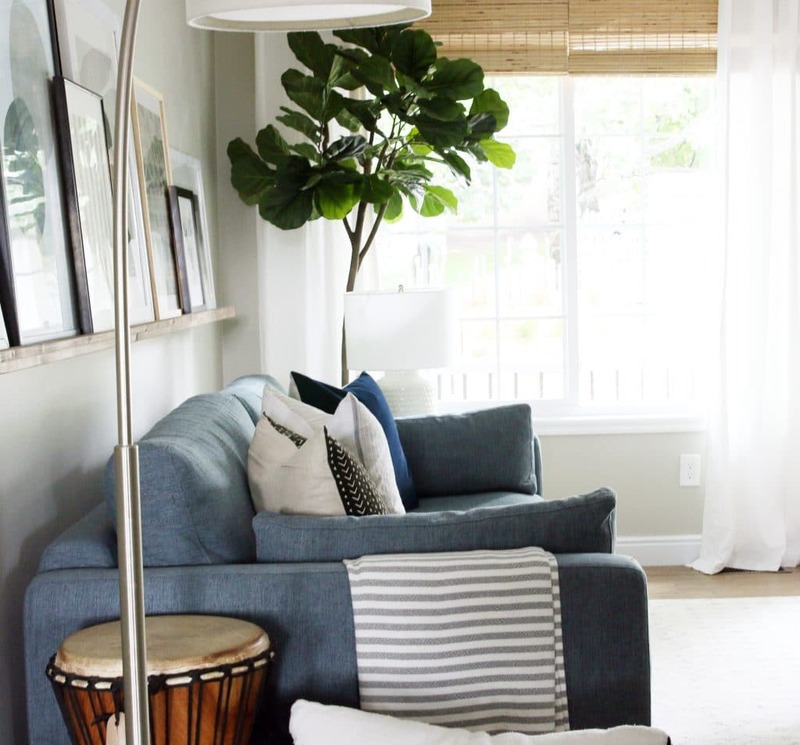 Love how you aways are moving things around and making changes in your living room especially with the pretty blue couch now. I have a Mustard swatch at home that I have been obsessing over – It would be such a fun pop of color to our fairly neutral living room. Fingers crossed I win – how fun! I would definitely pick Charcoal. Such a gorgeous color! This is such a great giveaway! I might go bold with the Emerald Mod Velvet or go classic with the Linen Pebble Weave. Winning this sofa would be a perfect finish to our kitchen/living room remodel!!! Wow! This is great. I love Wheat Cross Weave. I have been drooling over the Interior Define products for awhile now. How awesome it would be to win! We would choose the sleeper sofa with right chaise in Sapphire Mod Velvet. Deee-licious! So hard to choose just one with all of the amazing options. You guys should be so proud of this line. It’s just beautiful. I’ve been longing for an Interior Define sofa and have about 20 fabric samples at home. I LOVE that they offer a chaise option with pull out bed for when the inlaws come to visit (we get the sofa, don’t worry)… I think I love the Earth fabric the best based on pet friendliness and durability. I would love the velvet blue but it’d be a bit overwhelming in my space. I love the Charly sofa! If I were fortunate enough to win the giveaway from you and Interior Define I would select the same fabric but in Wheat! Is this how I sign up for the drawing??? I am looking for the “raffelcopter” widget but I can’t seem to find it. Sorry for taking up your comments section. I have binge listened to your podcast over the past two weeks while shopping and cleaning. I can’t get enough of your design wisdom…and the worst-hypnotist-in-the-world segment. There’s a little box above the comment section! Oh man, so many good colors! I like Earth, Seed, Mushroom and I might even go with the Citrine Velvet and put it in our family room against a gorgeous dark green wall. So many good options…. I would choose either Rain or Earth in the cross weave, both are gorgeous! Seed! Ocean! Ink! I can’t decide! I am looking for a new couch for my living room and I’ve had my eye on this one ever since I saw it in your house tour! I checked out all the colors and it seems earth would work the best for the colors going on in the room. Thanks for hosting the give away! How exciting!!! What a cool giveaway to share your love and design eye. We are in the process of refinishing hardwood floors in our recently purchased 1956 home so this would be a beauty to compliment all the hard work! I would definitely want to choose one of the brighter colors… The ruby or coral?! Ooooh, I’m not loving our Article sofa and this looks much more comfy. Would go great with the California Casual look I’m creating. The sapphire Mod Velvet looks so dreamy, but I’d have to think twice about that one if I won it, because kids!? Is that one of the kid friendly fabrics, or not? thank you so much for the giveaway! i’m not sure what i’d pick yet, but i REALLY need a new sofa… here’s hoping! Ooooooo…. It’s a tough call between basin and mist for me. It would be a hard pick. Would love to add some more color to our living room that currently holds a grey couch. I’m loving the Ocean color! Hugs! I would love the Charly sleeper in palomino leather! Earth is such a pretty texture and color! That is what I would pick for my Home. Oooh, I’d have to go with Ecru I think. Just became a listener of your podcast and I’m really enjoying the commute laughs you provide me. Preston & Chris’ senses of humor nail it. And really like to hear your take on design/strategies/way of approaching home. I’d pick the Zinc in pebbleweave! Fingers crossed. My husband and I have been (slowly… because kids) DIY remodeling a 1930s rock cottage for the last three years. We are soooo close to being done (are you ever really done?! ), but stopped before we bought doors to replenish the bank account haha! I would be exstatic to have a new Charlie sofa to complete our new living space! So exciting! I’m not sure which I’d choose because we need like two different sofas in this house!! Fingers crossed. Oh I’ve been wanting the Charly in Wheat ever since y’all launched! We just moved into our dream fixer-upper and our sectional is WAY too big for our space. We have grand plans for this room – think planked/beamed cathedral ceilings, the most gorgeous floor-to-ceiling brick fireplace, and a library wall (with ladder) that rivals Belle’s in Beauty and the Beast! I can only envision a Charly in there too! Thanks for the opportunity :) Y’all are my favorite designers! NJ and are now Franklin, TN residents! 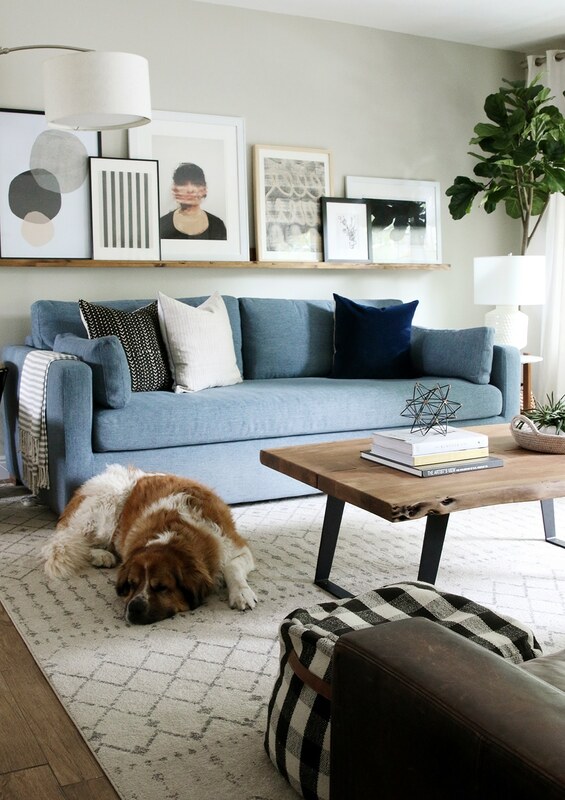 I love that you named the sofa line after your dog (who is ADORABLE) and you have pet friendly fabrics! My husband and I fostered the sweetest beagle this past summer along with her 7 babies and we ended up adopting her (officially as of last week)! This couch is gorgeous! I would be honored to win it! So exited, and hope I am the one. :) I would love the Charly sofa (even maybe the sleeper sofa!) in Palomino Leather or Cross Weave Earth with Oiled Walnut legs!!! The sleeper would be perfect for our small guest room. Love it! Both the couch and the refreshed living room (and Charly, obviously) – everything looks great! I’d pick the chaise option in linen. OMG the naps we could take on that… dreamy. Love this couch! Been following along with your podcast and blog and I get so excited when I hear new projects but when I heard the couch I was amazed. Nothing you guys can’t do! We just bought and moved into our first new home at 24 years old. Slowly been cleaning it up and starting to think of bigger renovations but first we are trying to buy the staples for our home and this would be a perfect step to be able to skip so we can start tearing up parts of our house and try to fix them up!! But Who ever wins will be so deserving and lucky! Good luck to everyone. Chris and Julia- love you guys! Corner Sectional in seed! Love! LOVE THIS SOFA 😍😍😍😍. The colors are great and I love the performance fabric! we have an older couch now that does not fit the needs of our growing family . We too just welcomed a new little boy about the same time as your daughter. I would love this beautiful sofa in our home and the opportunity to donate our current sofa to a family in need that could really use it! Yay! This looks so comfy, I would love to win. Great giveaway! Perfect sofa. Love the bench seat!! I love both of your Charlys and would be ecstatic to win! We built this home and moved in two years ago Thanksgiving weekend, copied your kitchen counters (except did normal concrete color) a year ago after nearly 8 months of plywood counters. For our 20th anniversary, we gifted each other a fireplace (Vermont castings gas stove!) and built-ins. Stove should arrive within few weeks and all should be finished the middle of November…along with finishing our basement (copying your shower faucet, head, pink color!). We have a hodge-podge of hand-me-down furniture in our living room and nothing in the basement which will become our TV room. We have 7 children but the oldest just left for college, so we lose the next six in the next 7 years (adoption along with biological makes all that crazy possible!). We just want to make it cozy and a safe, healthy, fun place for our children and the others in our community to come hang out! Thanks for the chance to win your beautiful Charly! What a great giveaway! We recently lost our entire first floor from flooding during Hurricane Harvey and have to eventually refurnish 7 rooms. I love the Charly and think it would be a great start! I would go with either wheat or ore. Love the blog and the podcast! I think I would love this with a Chaise option in plow!! I have been eyeing the Charlie sofa ever since I saw it in your space! It is gorgeous. We are still riding dirty with an old hand me down floral couch and would love to get a new one! Interior define is a great company. Love you couch! I am obsessed with this sofa. I am in need of a new one. My current sofa is 10 plus years old! Would love a kid friendly/neutral grey in some kind is performance fabric. I would love to win this!! We are closing escrow on our first home and need to furnish! I would LOVE to have this couch in our new living room. I like Wheat and Slate! This is amazing! Thank you guys for the opportunity. Would be fabulous for our new house! Pretty sure we would get that exact same couch you have in the family room. Ryan and I love grey/blue everything and the texture looks dreamy!! Fingers crossed! This would be so great! I need a new sofa! Ah this couch is adorable love it! A couple of newlyweds that have to chairs but no couch haha. We would love this adorable couch in natural! Love the Greige or Desert velvets. Thanks for hosting such a great giveaway. OMGosh this is AWESOME ! I have been trying to save up $ to get this amazing Charly couch, but at this rate it will take me a few months… Maybe I will be able to buy during their next year sale…. LOL I already even ordered color swatches and all ! Just cant decide on color, obviously…. I love Rain, but with a dark haired cat I feel like the best option would be a lighter color. So deciding between Ore (light grey – LOVE) and Ivory (white). I currently have a white slip covered couch that is falling apart, but the cat hair is not that very noticeable on my current white couch. Is Charly’s (your dog) hair noticeable on the Rain colored couch ? We just remodeled and I have been looking for the right couch… yours is perfect! I love it in the rain color! Love the Charly. Currently in the process of buying a house and starting all over with furniture. This would be a perfect start!!!!! Love it in Rain or Wheat. I love the Charly sofa in sapphire, mustard, basin and Ecru. I wish I had more living rooms to put them all in! Hi Chris and Julia! I’ve been obcessing over your Charly line😍 Before you started your line I never really considered a sofa that wasn’t a sectional but the style and comfort look that the Charly offers totally changed my mind. Oh and the color swatches🙌🏽 So many great options but I was definitely drawn to the Onyx because who doesn’t love a chic black couch but also the storm color is just as nice. I can’t believe you’re giving one away I would love to have one in my home! Thanks for giving back to a community of people that love your work! “Entrants must be in the continental U.S.” – whah whah. Best of luck to south-of-the-boarded friends! You guys are just the sweetest. I’ve followed your podcast and blog since the podcast started, and you totally feel like friends. I cried when you announced that Polly was on the way, and was so excited the day you posted about her birth! I’ll probably go back and listen to all the podcast episodes again, and we are using your blog as our go-to resource, because we are in the process of buying our first house! It needs some tlc and we have not done much renovation work before. So thank you for being willing to teach and sharing parts of your work and family with the world. It is a huge blessing to people like us. Also, we have never bought a couch…we have a leather hand-me-down that we are so thankful for, but can’t wait to get something more our style. The Charley would fit our little family of four so well! For the last couple of weeks I have contemplated on buying this couch! SO happy there is a giveaway! My wife and I are nesting so HARD rn- getting ready for our first baby. Would love a new sofa to get our living room where it needs to be! Love that couch. I’d love to win it in Emerald! Oooooooooh! I think I’d get it in the Emerald Mod Velvet. Fingers crossed! While the velvet is absolutely dreamy, the midnight blue heavy cloth is probably my favorite, and the most practical for my family, and dog of course. What a great giveaway! I love a deep loungy sofa! I believe the best sofas are ones that could handle my tall brother if he stopped by and needed to crash for the night – meaning it makes a good bed for a tall dude. Fingers crossed, this would be a dream come true!!! Love the Charly! Being a tall girl too I love the seat depth! How exciting! Just entered :) I actually ordered some sample swatches recently and had the hardest time deciding – I think my husband and I would lean towards the Rain color as well, it was the one we both gravitated to first! Yes please!! With our newest addition of a baby girl to our family of a large dog and toddler, this would be a great piece. Perfect timing – in need of a new sofa! A charcoal grey fabric would be dreamy ❤️ Love your blog! oh man, i’d LOVE to get rid of my big brown couch! fingers crossed. I’d love Coin for something neutral, but I love Oxford Blue. It’s just not pet-friendly in that I have two light-colored dogs. They aren’t allowed on the couch, but that doesn’t seem to matter. It still gets covered. Oooh, I would love it in the Plow color! We’re getting ready to remodel, and I’ve been couch dreaming and LOVE the Charly!!! What an amazing giveaway! What a great giveaway! We’re currently rehabbing a historic home in Lexington, Kentucky and are nearing the end of construction in the living room. Next on our list is to purchase a sofa! I really love the different fabric options offered but am really digging velvet these days. The Oxford Blue or Narwhal would be so great in our new space! Thanks for all of the inspiration you all provide. 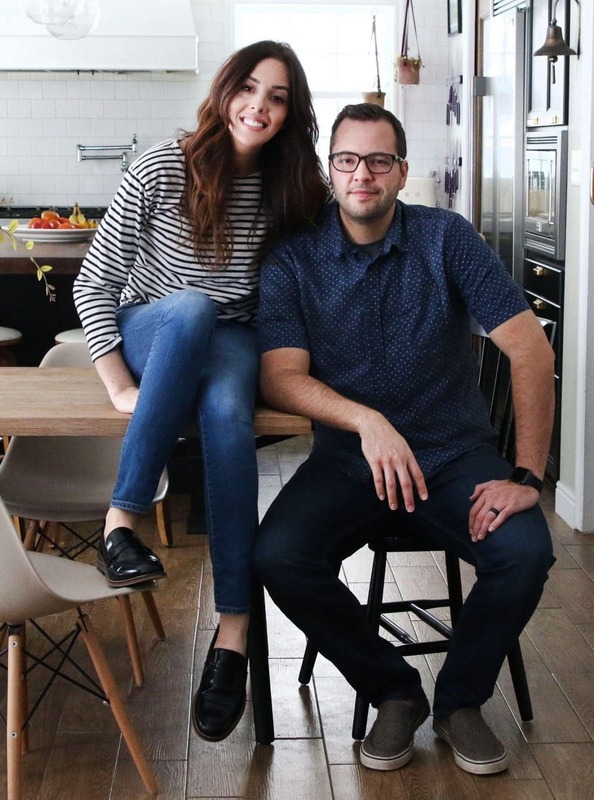 When choosing all new lighting for our house (20+ fixtures!) I was really inspired by some of the fixtures you chose in your own house. Thank you! Fingers crossed so hard! This is great. I would go with either oxford blue or emerald! Thank you for giving me the opportunity to win one. Love the Charly sofa. I love it in Rain, the color you chose. So good. I would love it in either Rain or Wheat for my home. Fun giveaway. Fingers crossed. my husband and I are newlyweds with a baby! we recently bought a home and i have followed you to help decorate my new home on a budget! thank you for the inspiration! I love the ivory color! I love “ore” or ” dove”. Grest giveaway! Thanks for the opportunity! I would LOVE to win this beautiful couch for our new home! I really love the Pebble Weave color. Love this sofa! My favorite color is the rain that you have! I love that it’s a neutral blue but so unique. I think I’d be wild and crazy and get it in either citrine or oxford blue. So many beautiful choices though!! AWESOME giveaway. We’re looking to replace our hand-me-down loveseat, and although this one is out of our price range, it’s beautiful. I adore the Rain color, but I think we’d go for Mushroom! This is AMAZING! Our sofa is definitely the saddest and most embarrassing thing in the house…can feel the springs and the frame when I sit. I love the sofa and think I’d go with the natural in pebble weave. We’d rock Rain or go retro with Oxford Blue :) Very cool opportunity to design your own sofa, love the Charly! Love the sofa! I would order the Charly in Earth! What a great giveaway! I would love the Yarrow or Seed. This is amazing. I love the Charly!! I’ve actually given this a lot of thought over the last few months and I would choose the linen or wheat color for a Charly of our own. OOOH NICE! Real life – my husband and I are going to Chicago this weekend and basically my only must-do is to go to Interior Define’s showroom and sit on this couch. We’re moving in a few months and a Charly in wheat or linen is at the top of my list for new furniture. Wow! We have been looking for something to replace our couch from Storehouse (no longer in business) that is at least 20 years old (recovered a couple times). This sofa is perfect – I would choose Earth, I think. Which type of fabric is the pet-friendly? I could not tell from the order screen, but maybe I just need to dig around a little. Omg I love the Charly sofa. I am in desperate need of a new sofa and have been researching the heck out of it. I think I’ve narrowed it down to the lounge ii or this one. How cool would it be to win it instead? Lol. I need a big comfy couch for the whole family and my two beloved (but sometimes overly clingy) pooches.